This is an epic 21 day journey from Cape Town to Livingstone. 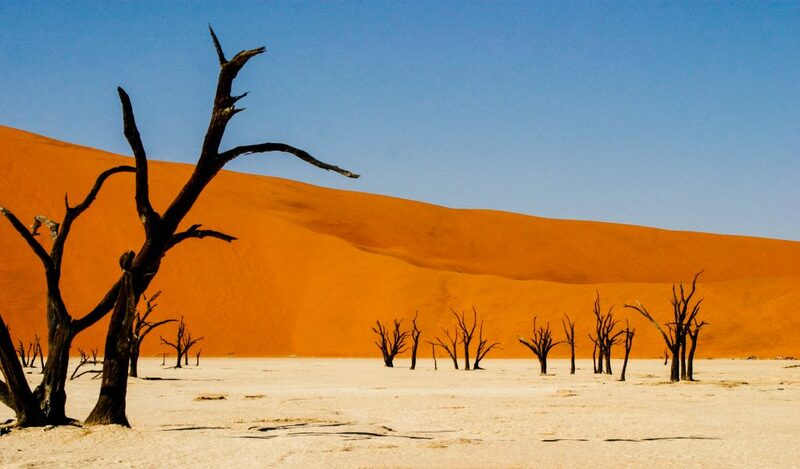 You will visit the stunning Namib Desert, the green oasis of the Okavango Delta, and the majestic Victoria Falls! Accommodation is in simple, sometimes rustic chalet and cabins. An adventure of a lifetime! 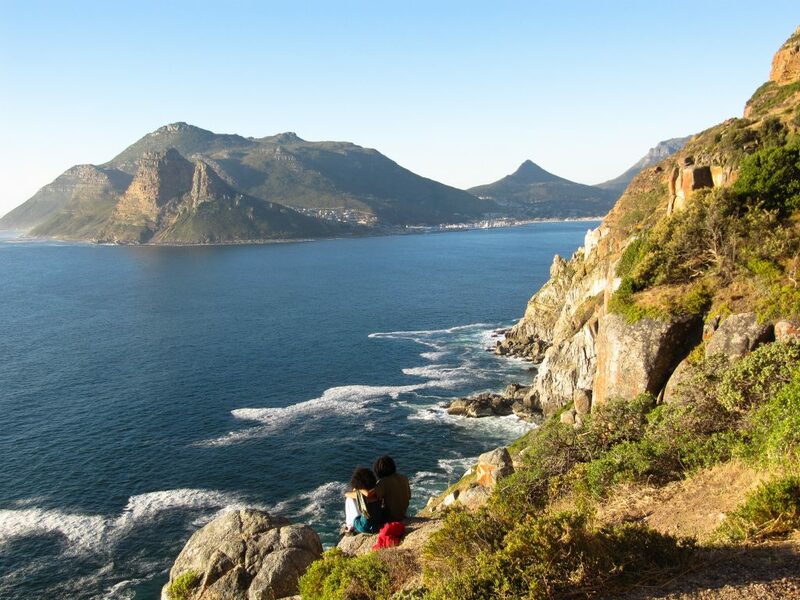 Cape Town is one of the most picturesque cities in the world, with the majestic Table Mountain providing its central focus. After a tour briefing at 8:00am, we visit the African Penguin colony en route to Cape Point Nature Reserve, and spend the rest of the day relaxing on Hout Bay beach. We sample some of Cape Town’s culinary wonders at a local restaurant at the Victoria & Alfred Waterfront (own expense). 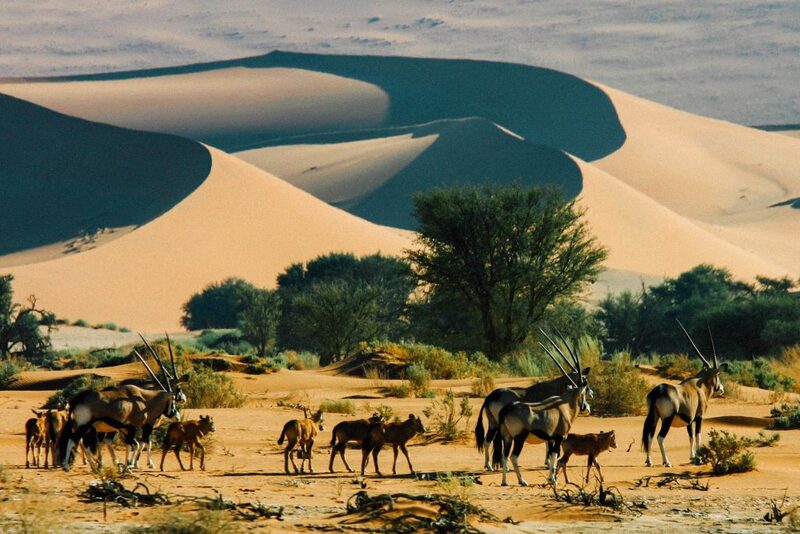 The parched Namib Desert has endless orange dunes blown into sharp ridges by the sand-shifting wind and at Sossusvlei they form a gateway into the Namib Desert. 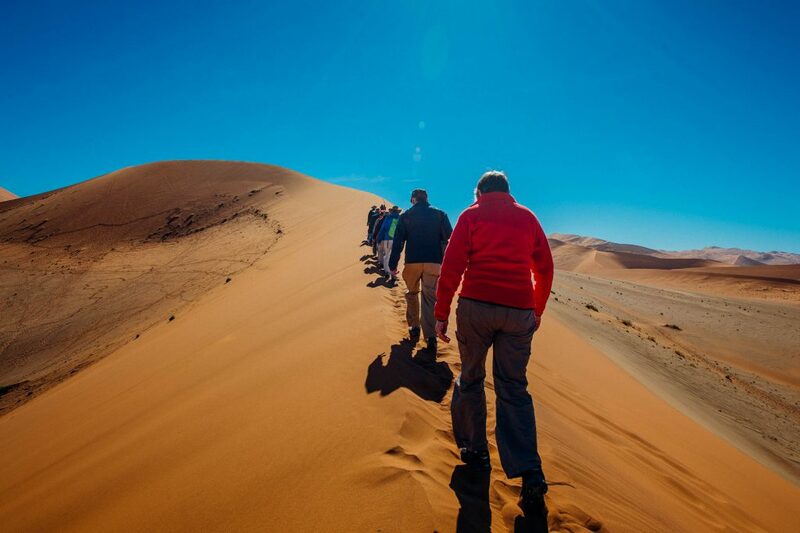 We will walk to Sossusvlei, explore Sesriem Canyon and watch a dramatic sunset over the world’s highest sand dunes. Crossing into Botswana we overnight in huts with the local San D’Kar community in the heart of the Kalahari. 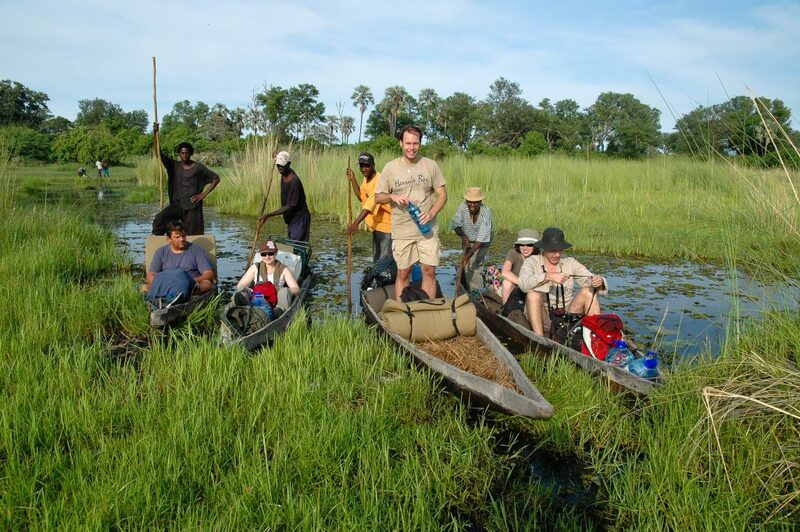 We take a walk with the local Bushmen to learn fascinating bush skills. 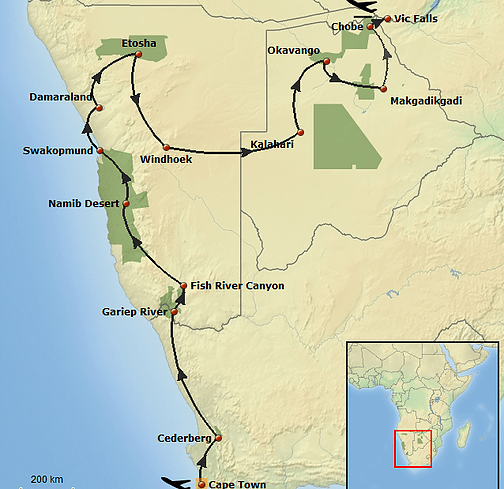 Please note it is possible to finish this safari on the morning of day 13, making a 13 day safari from Cape Town to Windhoek. Magnificent Victoria Falls is one of the seven natural wonders of the world. David Livingstone ‘discovered’ the falls in 1885 and named them after his Queen. 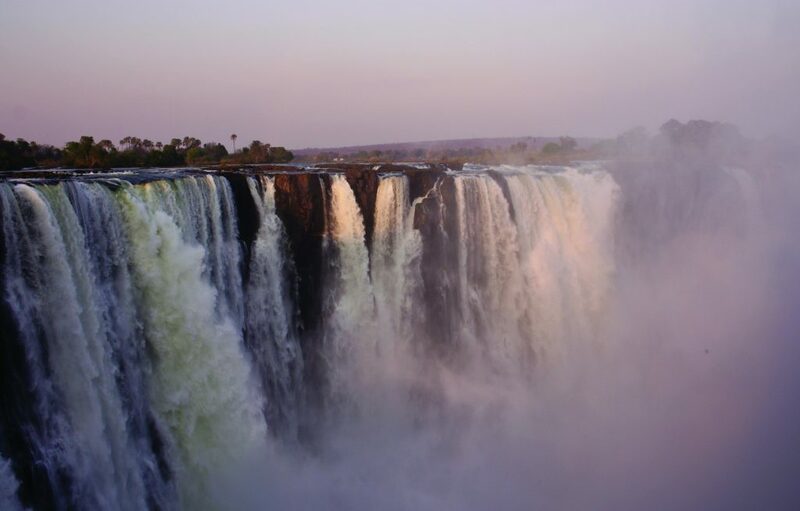 The scene he encountered was a mile-wide (1.6 km) sheer basalt fault line over which the mighty Zambezi tumbled to a depth of 100m, creating a cloud of spray. 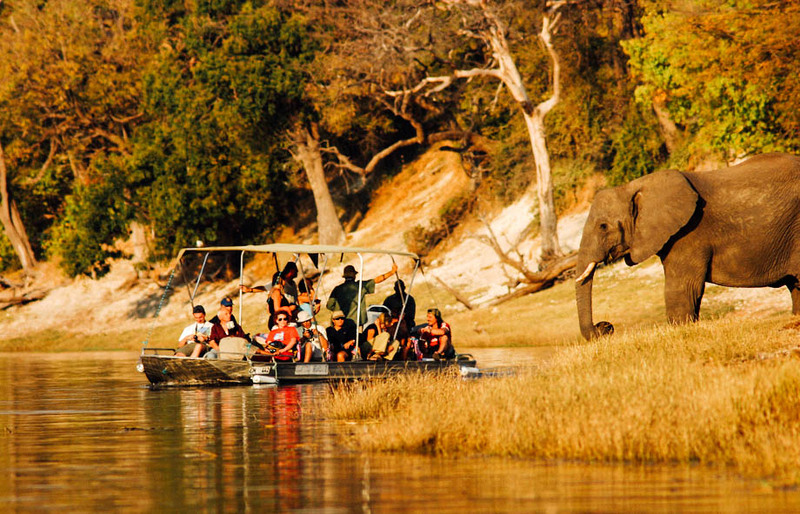 The falls are also the centre of a wide range of activities, including white water rafting on the mighty Zambezi, elephant back rides, scenic flights or a 111m bungi jump (own expense). Tour ends at 08:00am at the hotel.